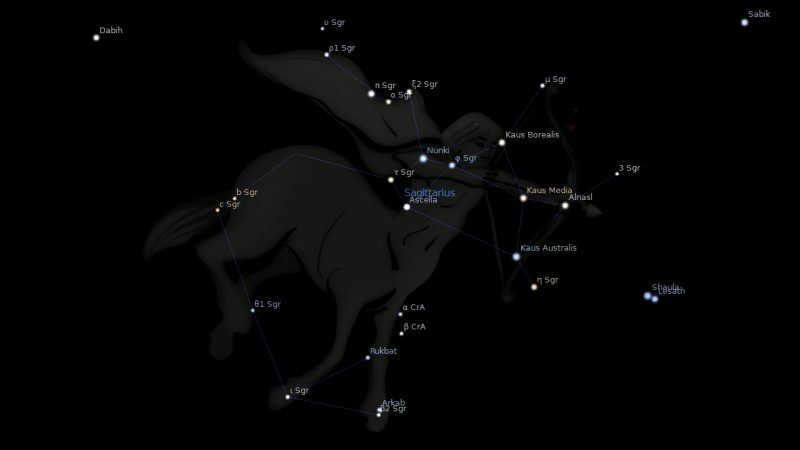 Omega Sagittarii, at the northeast corner. 59 Sagittarii or b Sagittarii, at the southeast corner. 60 Sagittarii or A Sagittarii, at the northwest corner. 62 Sagittarii or c Sagittarii, at the southwest corner. Mars conjunct Terebellum: This is not an easy position. It creates an extremely aggressive individual who is ready to take over any situation whenever the opportunity presents itself. They seize every opening that would enable them to be in a top position. Their true love is large machinery, and in the military they can be found around tanks, or something equivalent, that can go over rocks and crevices and around mountain areas. They become very aggressive in nature, and will get rid of anyone who may get in their way. They will pull another down who tries to keep them from reaching their goal, even if it takes deceit to accomplish it. They do exceedingly well in positions that require aggressive or militant behavior. These persons are not generally the well educated type, so that they seldom reach the very top position, but they do get very close to the top for the most part. This is a frustration for them in addition to the fact that there would be nobody left to pull down after they reach the highest level their ability takes them. 1. Fixed Stars and Constellations in Astrology, Vivian E. Robson, 1923, p.213. 2. The Fixed Star Health and Behavior Imbalance, Ted George and Barbara Parker, 1985, p.130. Hi I have this aspect tightly culminating / on my midheaven. What could this mean? Does the transit Pluto conjunct MC on this star considers to be a good transit? What abour terebellum conjunct jupiter in the 6th house? i have 12th house Capricorn stellium… it is exact my 25’51” Saturn in the 12th… interesting. thank you! MY MOON IS AT 25 DEGREES CAPRICORN IN 8TH HOUSE , WHAT COULD THAT MEAN?